Intertidal species effort-based search undertaken by students (16+) and volunteer groups with support from an ecologist. During the twenty minute timed species search surveyors look for 22 species, 4 non native and 18 climate change indicator species within 1 of 3 habitats: rockpools; boulders, crevices and overhangs; or open rock. Abundance is recorded using a simplified version of SACFORN. Datasets provided to the DASSH Data Archive Centre from Statutory Agencies. Data comply with MEDIN standards (www.oceannet.org) and further assets (images, video, bathymetry) may be available. 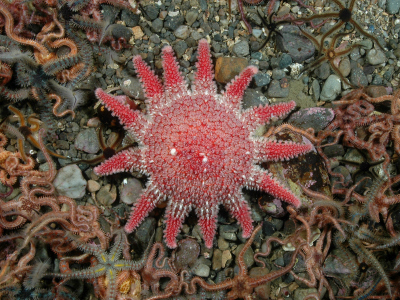 A collection of marine biological survey data collated from literature. Occasional sighting of marine species recorded by academics, professionals or expert amateur naturalists.